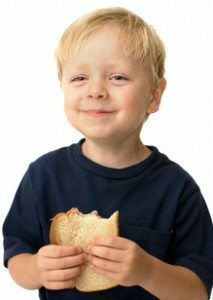 If you are concerned about your young child’s eating habits, then it’s important that you take a few short moments to read this page. Eliminate food battles with your toddler — almost instantly. End your child’s constant begging for treats and snacks in between meals. The REALLY scary thing is that the way your young child eats today COULD be setting them up for serious health problems in the future — things like obesity, diabetes, cardiovascular disease, as well as eating disorders like anorexia and bulemia. But the good news is that there ARE some quick, easy steps that you can take starting right now to fix your child’s eating habits and help them develop a healthy relationship with food that will last a lifetime! Want PROOF that my fast and simple suggestions really work? I thought you might… so I’ve put together a FREE resource for you! Not only will you get a sneak peak at how my methods work, you’ll also get a step-by-step plan for dealing with one of the most common food challenges parents face! Here’s the story: After struggling for years with my own child’s “incurable” sweet tooth, I finally teamed up with a child nutritionist and came up with a solution that works almost immediately! How to teach your child the difference between a “treat” and a nutritious snack — and get them to actually PREFER healthy choices! I should tell you that the “One-Day Sweet Tooth Cure” goes completely against conventional wisdom — so all I ask is that you read it with an open mind… and give it a try for yourself! I think you’ll be as surprised as I was by the almost INSTANT change in your child’s approach to sweets! This complimentary download will be sent to you within 5 minutes of clicking the button above. In the meantime, I encourage you to have a look around the site. The ‘About Dana’ link will give you some more information about me and my background, and you can click on ‘The Food Sense Philosophy’ link to read more about why I think a healthy relationship with food is so important to all children. Oh, and don’t forget to check out the FREE ‘Kid-Tested’ recipes, too! There are dozens of healthy food ideas that toddler and kids of all ages actually enjoy!